Arundel boss Simon Hull. Picture by Steve Robards. 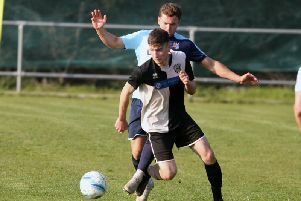 Simon Hull slammed Arundel’s first-half performance as they fell to a disappointing 4-1 away defeat to Lingfield in the Premier Division on Saturday. Two goals in the opening six minutes from Scott Johnston and Jake Horn gave the hosts an early lead before Naseem James added a third before the break. Chris Ransome then struck to make it four with minutes of the game to go but Mathew Noble struck a late consolation goal for the Mullets. Despite defeat Arundel remain 17th, and three points clear of the drop, after bottom sides Little Common, Eastbourne United, and Shoreham all lost. Hull said: “Lingfield were a decent side but that doesn’t excuse the start we made. “I’m not one for excuses but in the first half-an-hour we were second best everywhere. “When you set up to contain and find yourselves two down in six minutes you know you’re going to be in for a difficult afternoon. “You’re chasing the game and it’s the manner of it. They were absolute gifts. “We just switched off. You often get it at the back-end of games when players are tired but it’s not acceptable. “You’re dead and buried at 3-0 down at half-time and there’s not too many times when you can turn that around. “We’ve got to learn from that and players that have come in and got their opportunities did not take those opportunities. The hosts only needed two minutes to open the scoring. 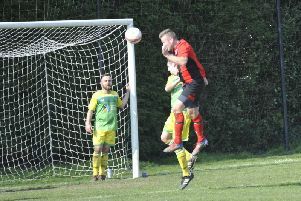 A great delivery from Conor Wilford was met by a towering leap from Johnston who firmly headed into the back of the net. Just four minutes later and a through-ball from TJ Stead found Horn and his crisp strike gave Mullets keeper Dan Steven no chance. Six minutes into the game and Arundel were already all at sea. Their misery was further compounded on 36 minutes as James struck for Lingfield after a great pass from Ransome. The visitors found themselves three down at half-time but there was a marked improvement in their performance in the second period. But the hosts found a fourth on 87 minutes as Wilford produced another fine cross to find the in-form Ransome to head home. Noble then reduced the arrears for Arundel at the death but all-in-all it was a chastening afternoon for the Mullets. Hull added: “The positives are that we had a straight, frank, honest conversation at half-time and we got a response. “We got away with it to an extent because results did go our way. Arundel: Stevens, Hallett, Gibb, Dudas, Foster, Gomes, Benfell, Noble, Russell, Kates. Subs: Litterick, Potts, Griffin-Tilley.